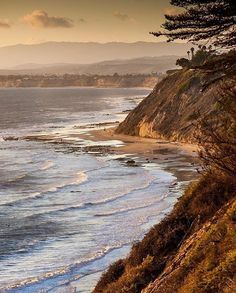 This hike begins at Hendry’s Beach in Santa Barbara and travels about 2 miles down the coast to the bouganvillea-lined Mesa Lane steps (all 1,000 of them) before entering the Douglas Family Preserve. This 70 acre Preserve on the bluffs was named after actor Michael Douglas in recognition of his generous gift to place this ocean-front property into the Trust for Public Land- ensuring it will be enjoyed by locals for generations to come. Experience the eucalyptus groves and chaparral overlooking the Pacific and views of the Channel Islands before a windy trail through the oaks brings you back to lunch at the Boathouse at Hendry’s Beach. This hike is sure to please even the most well-traveled guests.